The power of strong female friendship is an almost universally acknowledged subject. From The Bachelor to Beaches, Sisterhood Of The Traveling Pants to Romy And Michele’s High School Reunion, the strength of the bonds that can develop between women are depicted with varying degrees of sensitivity and nuance. Never are these relationships more tempestuous—or more intense—than during the throes of adolescence. 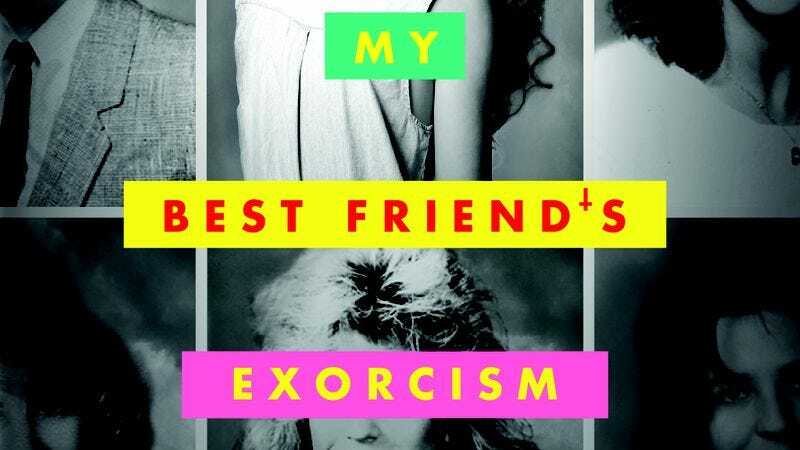 My Best Friend’s Exorcism, Grady Hendrix’s terrific new novel about a supernatural power wreaking havoc in South Carolina in the late ’80s, places best friend drama front and center, and wrings honest truths from the fictional magic, calling them forth like a Catholic priest prying a demon from its human vessel. Abby Rivers and Gretchen Lang are entering their sophomore year of high school, part of a four-girl clique both popular and academically successful. Abby and Gretchen have been besties since grade school, possessing the kind of near-telepathic communication and her-before-me selflessness that characterizes the most intimate friendships. So naturally, Abby is the first to notice when Gretchen returns—after disappearing for the night during a sleepover—a little… different. Soon, she barely recognizes her oldest friend, as Gretchen begins executing progressively more malicious schemes that rain down disaster upon everyone in her orbit. Surely, Abby reasons, this can’t be the work of her friend. Someone or some thing has taken hold, and is twisting her, forming her into someone fearsome and new. After a school assembly visit from a bodybuilding troop of Christian brothers, Abby suspects her worst fear might be true: The devil has taken her best friend. My Best Friend’s Exorcism is sharply written in all the ways that are most important—namely, the ebbs and flows and insecurities of adolescence, and depicting the messy emotional conflagrations that inevitably arise as youthful friends grow up and (potentially) grow apart. It smartly borrows the trick perfected by Buffy The Vampire Slayer: Life in high school can be hell because it literally is, and tumultuous social life and ruptured friendships feel like life-or-death struggles because they are. Hendrix’s prose is often abrupt and flighty, tracing the internal world of a hormonal young woman with acuity, and mirroring the curlicues of thought and feeling that are part and immature parcel of teenage angst. It’s not always the most penetrating—the narrative often pauses for Abby’s conflicting reflections on her inexplicable situation, which are only sometimes illuminating—but it feels honest, part of the limitations of an unreliable narrator. The details of the girls’ world are littered throughout, creating a Southern town realized in exacting detail. Hendrix can be an over-eager writer, wanting to get to the fun pop-cultural evocations too quickly (on the third page alone, he name-checks Ronald Reagan, Just Say No, Ms. Pac-Man, E.T., and Patrick Swayze in a simplified effort to evoke the shorthand markers of the late ’80s). But when he lets the language breathe, and relegates these signifying touchstones to the sidelines of the story, they fill in its edges, shading in the universe of these girls without hanging a lampshade on the references. Abby works at TCBY, but there’s no need to add symbolism to that period-appropriate job; it simply functions as another location for Abby to go through the motions during the off-time from her real life—namely, interacting with and obsessing about friends, family, and physicality. It’s no spoiler to say that things get very dark, and a showdown between Abby and her friend forms the climax of the book. But unlike Hendrix’s last page-turner, Horrorstör, this story doesn’t revolve around a supernatural plot geared directly toward scaring the reader silly while providing some good-natured satire. 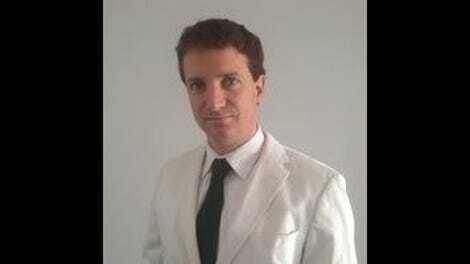 Indeed, there are scary moments, but they are few and far between, with most of the skin-crawling coming from the mortifying daily exigencies of adolescent life. My Best Friend’s Exorcism pivots on the choices girls make during the most uncertain and awkward time of their lives, and the ways it can make the ridiculous sublime—and vice versa. Comic relief, in the form of a young body-builder of an exorcist, leavens the mood, but doesn’t distract from the dark timbre of the story. Hendrix has made strong progress as a novelist, and this book—which will likely be ghettoized as YA fiction, or what Stephen Colbert has defined as “a regular novel that people actually read”—makes a convincing case for his powers as a sharp observer of human behavior, filtered through a fun genre conceit that doesn’t skimp on the spooky—or the bodily fluids.